The Pacific Northwest was once known for salmon. Tall evergreens. Rain-soaked beaches and fogged-over valleys and fresh apples as big as your head. But today, we’re proud to say we’ve changed all that! The BREW-HA! Brewery Guide identifies and maps every sweet little craft brewery hidden in the beer playground we call the Pacific Northwest. 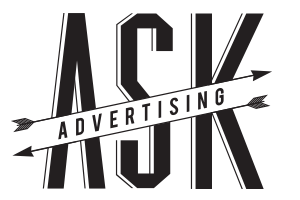 ASK Advertising developed strong partnerships with both the Washington Beer Commission and the Oregon Brewers Guild to develop a marketing piece that promotes the craft beer industry in each state. The BREW-HA! Brewery Guide is pocket-sized, pin-points brewery locations, and features amenities and contact information for each mandatory stop-over. The end-result supports itself: grab a beer and enjoy the unparalleled natural beauty on either side of the great Columbia.